Recently, I was asked to review the book WebSphere Application Server Administration Using Jython. First impressions are excellent – the book is thorough, first introducing the Jython language itself (which is essentially Python running on a Java Virtual Machine – and very easy to learn), then moving to talk about the wsadmin tool, which is used to execute administrative scripts or command in Jython with WebSphere. It’s worth pointing out that WebSphere currently supports two scripting languages – Jython and JACL, and Jython is the strategic direction forward for WebSphere, so it’s good that the book focuses on this (also, in my humble opinion, Jython is much easier to learn). The book then moves on to the meat of the subject, discussing each of the four primary WebSphere administrative objects in turn. There are dedicated chapters for various important and frequently-used topics, such as security, databases, and messaging. In general, these are thorough and of high quality. The only minor point against the book is that it covers only WebSphere Application Server, not any of the stack products that build on top of it (such as WebSphere ESB and Process Server, which is the primary focus of this blog). However, this is expected – it’s in the title – so is hardly a criticism. Generally speaking, this is a thorough and useful technical book for anyone wanting to do scripting with WebSphere Application Server. Disclosure: I recieved a free copy of the book in exchange for this review – that’s all. I was recently asked to review the new book WebSphere Application Server 7.0 Administration Guide by Steve Robinson. First impressions are good; the book looks professional and comprehensive. Steve starts from the basics, installing WebSphere Application Server from scratch. He walks through some administration tasks that I might expect an experienced system administrator or developer to be able to do without trouble (details on un-taring a file, for example), and a little more information at various points would be welcome: for example, although Chapter 1 describes creation of a profile, it doesn’t really explain what a profile is or why it would be needed, referring only to an “application server definition”. Nevertheless, taken as a whole, the book is generally thorough, and certainly covers the basics for someone with little WebSphere Application Server expertise or exposure. Steve looks at administrative security, scripting, messaging via the System Integration Bus, and so on. As the title implies, the book doesn’t talk much about application development, but that’s fine. There’s nothing here you wouldn’t find elsewhere, but Steve does a good job of collecting it all together, and presenting WebSphere administration topics in a coherent and logical manner. It’s a good book for WebSphere Application Server administrators who are just getting started – and it would also be useful for those learning to administrate products that use it as a base, such as WebSphere Enterprise Service Bus or WebSphere Process Server. This tip comes from Arancha Ocana Diaz-Ufano, who did all the hard work to figure it out! In WebSphere ESB, there are many ways of changing the endpoint of a SOAP message outbound from a mediation flow, and the normal way is to use the dynamic endpoint support. To be clear, this is recommended way. However, there is another technique, and that’s to use a JAX-WS handler (assuming you’re using a JAX-WS Web Services binding) on the outbound message. This might be useful if, for example, you absolutely cannot modify a mediation flow that’s been given to you, you cannot modify the endpoint at administration time (for example, from the administration console), or you want to do the override in a generic fashion across a large number of mediation flows. Thanks again to Arancha for allowing us to publish this tip. Sorry that there haven’t been many posts here recently. To whet your appetite, I’m currently preparing a series of articles with a working title of ‘Mediation Flow Creation Guidelines’, which will aim to provide some guidance on well-worn ways to develop mediation flows efficiently. In the meantime, I’d just like to mention a new book coming out soon called WebSphere Application Server 7 Internals. I’ve been lucky enough to take a look at some preview chapters, and I have to say the content is set to be excellent; Colin has done a great job of explaining many of the more detailed and nitty-gritty topics involved in WebSphere Application Server, which underpins several IBM products, including the one I specialise in, WebSphere ESB. I’m sure it’s set to be a handy tome. 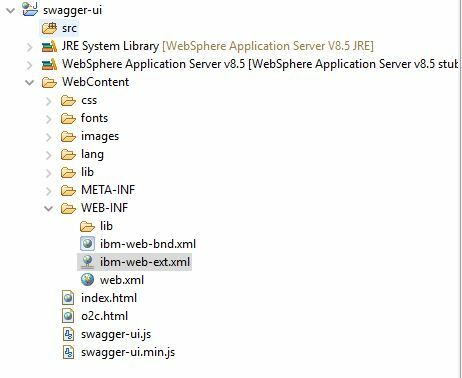 There is a handy feature of WebSphere Application Server which allows you to control whether applications start automatically when the server is (re)started. By default, all applications (which are Mediation Modules or Modules in WebSphere ESB and Process Server terminology) start automatically when the server starts, but you can turn this off on an application-by-application basis. This is particularly useful to speed up server startup time, or if the applications consume resources as soon as they are started. If you have the application installed on multiple servers in a Network Deployment topology, you can select a different Auto Start status for each server. Thanks to Victoria Amor for the help with this tip. From time-to-time, you might see OutOfMemoryErrors in the SystemOut.log file for your WebSphere Application Server-based product (which includes WebSphere ESB and WebSphere Process Server). This normally happens when you’re putting the system under a large load (perhaps you have many applications running or are processing a lot of messages). This technote will help you resolve the problem, by explaining how to increase the maximum heap size used by the Java Virtual Machine running your server.